The attractive leaf shape and form of growth make this plant a desirable plant for all ornamental gardens. 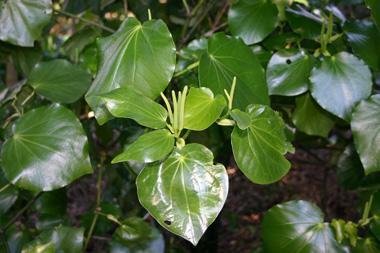 Kawakawa is claimed to have medicinal qualities. The leaf, if dried and burnt, is an insect repellent. The seed is found on soft, orange spikes that are a favoured food of many birds in late summer. 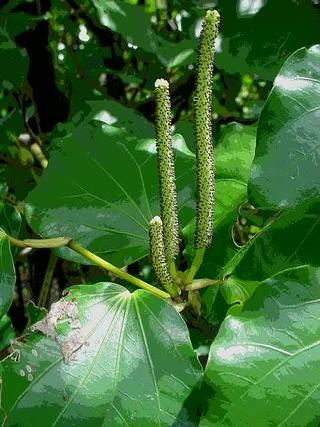 The seed of Kawakawa is very small and is embedded on the soft spike. Remove these spikes and mash them up or soak overnight in water. The orange mash can be easily separated from the heavier black seeds by floating. Sow seeds on top of the seed raising media. The seeds will go through a period of after ripening and may begin to germinate 2 or 3 months after sowing. 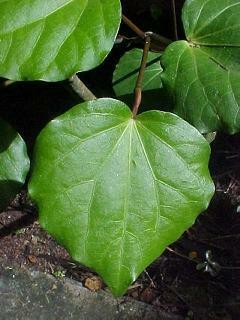 Kawakawa makes a great tonic or bushmans tea. Pick 2 or 3 leaves and place in a cup of boiled water. Leave to infuse for a minute or two, then drink. Leave the leaf in the brew. Great for toothache and an all-round refreshing drink.